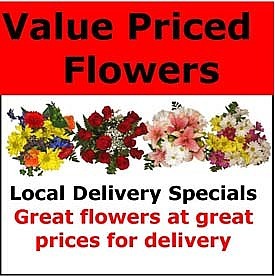 Charles Adgate Florist, Warren Ohio, Get same day national delivery on flowers and gifts, fruit baskets, plants and bouquets. Warren, Niles, Girard, Mineral Ridge, Liberty, Hubbard, Brookfield, Hartford, Vienna, Howland, Cortland, Champion, Southington, and Leavittsburg. Deliveries are made between the hours of 9:00 am and 5:00 pm Monday thru Saturday. Evening and Sunday delivery are available by special arrangement. Sunday delivery is available to local funeral homes for calling hours. Many of our gift items are available for shipping via FedEx or UPS outside of our normal delivery boundaries. Those items will be indicated for direct ship. 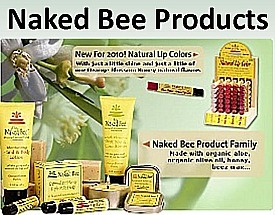 Any gift item selected for direct ship will be gift wrapped and included your personal greeting. Floral and plant orders for delivery outside our normal areas will be transmitted to a fellow FTD florist for completion. We will make every attempt to fulfill your delivery requests. After we have completed your delivery you will receive an email indicating the time of delivery. We make daily deliveries to all Warren-Niles hospitals and nursing homes. We also deliver daily to all funeral homes and churches for calling hours and services. For your convenience funeral homes, hospitals and nursing homes that we service can be viewed here. We can assist you with any last minute orders! Should the need arise that you want to make a change to your floral order you may do so. This change could be a product change, card change or delivery date change. Please note that once your order has been routed for delivery, we are unable to make any further changes. We suggest contacting us directly at the shop regarding any changes or cancellation you may have. We can be reached at 1-877-291-8456 or locally at 330-856-5400. Our goal is your complete satisfaction. If you are not satisfied with our products and services we ask that you contact us at 1-877-291-8456 so we may help you. On-line accounts- when you place an order thru our internet site you have the option to set up a personal account with us. Address information for past recipients will be available on-line, but NO credit card information will be stored. We offer to you various discounts and promotions during the year, some of these will be specific to orders placed thru our internet site, while others will be coupons to be used in our beautiful flower shop. We will remind you of special events during the year, birthdays, anniversaries, and the floral holidays-Valentines Day, Easter, Mothers Day, Administrative Professional Week, Thanksgiving and Christmas. Our staff is trained to assist you with any question or problem you may have. We guarantee your complete satisfaction. Please contact us at 1-877-291-8456 with any questions you may have.